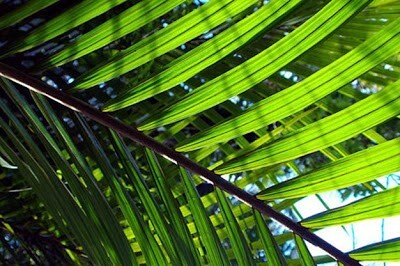 This Sunday is known to Christians as Palm Sunday. It is an annual reminder of a hugely courageous moment in the life of Jesus of Nazareth. It was the beginning of the Jewish Passover week. Jerusalem was crowded with pilgrims. Some estimate that more than two million people – many of them keyed up with religious expectations – annually packed the city for this holiest time of the year. There is a price on Jesus’ head. His enemies are looking for him. So how does he enter the city? He doesn’t come at night, or in disguise, or through some back alley. He comes riding in on a donkey in broad daylight – the fulfillment of a prophecy from the book of Zechariah – a dramatic action that leaves no doubt that he is claiming to be the long-awaited Son of David, the cosmic King who has come to set things right. Now, there’s someone in Hollywood who has made his reputation pulling stunts like this. Again and again Arnold’s characters vow to set things right. Whenever Schwarzenegger comes back, he’s usually toting a small arsenal, commanding a helicopter (“Get to the choppah!”), or guiding a dozen minor characters whose existences are expendable precisely so Arnold can succeed. In keeping his promise to come back, he arrives in Jerusalem with no army and no weapons. All he has is an attitude of magnificent defiance toward hostile authorities, an audacious commitment to courageous love, and an unswerving determination to die for the express purpose of ensuring that his band of minor characters will in fact be the ones who succeed. The people in Jerusalem are waving palm branches. This was a classic Jewish call for taking up arms. Waving palm branches was nothing less than a declaration of war. They are hoping and yearning for an armed Redeemer, a military Messiah who will save them now by eliminating the Romans. Incredibly, these hosannas are addressed to a man who has no visible means of bringing down earthly principalities and powers. Jesus comes into town and defiantly proclaims the arrival of the reign of God. He is misunderstood by the crowds, the authorities, and even his best friends. He knows this act will cost him his life. As so many have learned over the centuries, non-violent resistance almost always requires breathtaking sacrifice. It was Martin Luther King, Jr., who said that love is the only power that can transform an enemy into a friend. Palm Sunday reminds us that courageous, non-violent love can do more than that. It can turn the world upside-down. Next Article Next Article: Do You Believe in Easter?